Where are your food dollars going? Sometimes we check our bank account and think, “What in the world did I buy?” Food can be an easy place for our budget to slip. Eating out with friends and family has become more common because it’s so quick and easy. Even grocery bills can add up if we are not careful. 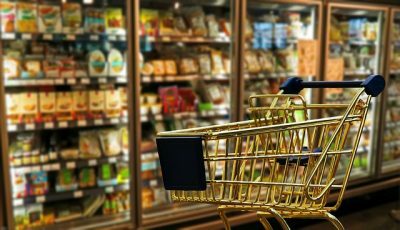 Iowa State University developed a downloadable worksheet you can use to track your food expenses. The worksheet suggests writing down what you spend on food for one month to see where you could reduce costs. Saving your receipts can help with this exercise. After you finish, look at your expenses. Are you surprised by how many coffees you bought? Are you eating out more than expected? If you notice that you spent more than you wanted to, we’ve got you covered. We consulted an expert in finances for advice on how to reign in food dollars. Dr. Matt J. Goren, CFP is a financial educator and provides financial literacy education, advising, and consulting. FoodTalk: What are some easy ways someone could save money grocery shopping? Doing the math. For each item, look at both the total price and the price-per-unit. Grocery stores always show the price-per-oz or price-per-pound or price-per-serving right next to the total price. Generally, price-per-unit is more important. Also, I try to think about how much a given food is going to cost me every year. If I buy this thing every week, I can multiple the price by 52 (weeks in a year) to get the yearly cost. $10 a week turns into $520 a year – is that worth it to you? Buying in bulk. Usually, the bigger the box, the cheaper price-per-unit. Buying in bulk is really useful for staple foods you buy regularly. Be careful about doing this with perishable food, though. Buying 10 zucchini to save $1 might end up losing you $10 if you have to throw them all out. Dr. Goren recommends buying generic and sticking to the outer edge of the store to save money. Buy generic. Name-brand foods are sometimes twice as expensive as their generic counterparts… for essentially the same food. Years ago, I switched from name-brand baked beans to generic. That cut my costs by about $2 a week, which is $110 a year – not bad for a single decision! Try to stick to the outer edge of the store. In other words, try to avoid going into the aisles. While not always the case, grocery stores tend to line the outer-edge with fresh produce, proteins, dairy, and other high-nutrition items. The aisles, on the other hand, are usually full of high-sugar and high-salt foods that have less nutritional value. Even if these foods are cheaper per item, you end up eating more and spending more overall. And the bag of chips and 2-liter of soda are doing nothing good for your overall health! Get the app, get the “member card”, use the coupons. Most grocery stores will offer big discounts for customers who join some kind of membership program. Supposedly you “save” some amount if you’re a member. Well, not exactly… but you are avoiding paying the much steeper price non-members pay. Be flexible and buy sale items. Let me explain this with an example. If you buy pork chops every week, you normally pay full price… except maybe once a month if you happen to catch a sale. When pork chops are selling for full price, however, chicken is probably on sale. Or, steak. Or, fish. Or, some other protein. So when I go shopping, I don’t buy pork chops every week. I buy the protein that’s on sale. My total food bill tends to be lower and I get more variety in my diet. FoodTalk: What is one thing about food budgeting that you wish people knew? Dr. Goren: I wish people took a step back and looked at their whole budget. Food may only be their fourth or fifth biggest expense. 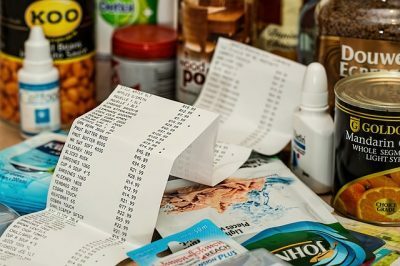 Some people think they’re doing a great job at budgeting if they spend hours each week clipping coupons, buying in huge bulk, and saving $1 here and there. They might say, I saved $100 this month – I’m a financial wizard. And at the same time, they’re broke because they pay thousands each month for housing, transportation, childcare, taxes, and everything else. So, apply the same “value” idea to all your other expenses. Is this house or apartment worth what we pay? Is my car worth it? Is the cable TV, alcohol, travel, hobby, clothing, and so on worth it? Very often people don’t know how much they’re spending on these things. Worse yet, these big expenses aren’t making them or their families happy. Do the hard work of “trimming the fat” off your other bills, and hopefully you find the money to treat yourself to some delicious foods at the grocery store! Check out more money tips from Dr. Goren on the NPR show, ‘Nothing Funny About Money’, which makes personal finance fun and simple! The show airs in the Athens-area on WUGA and can be found on Apple Podcast.